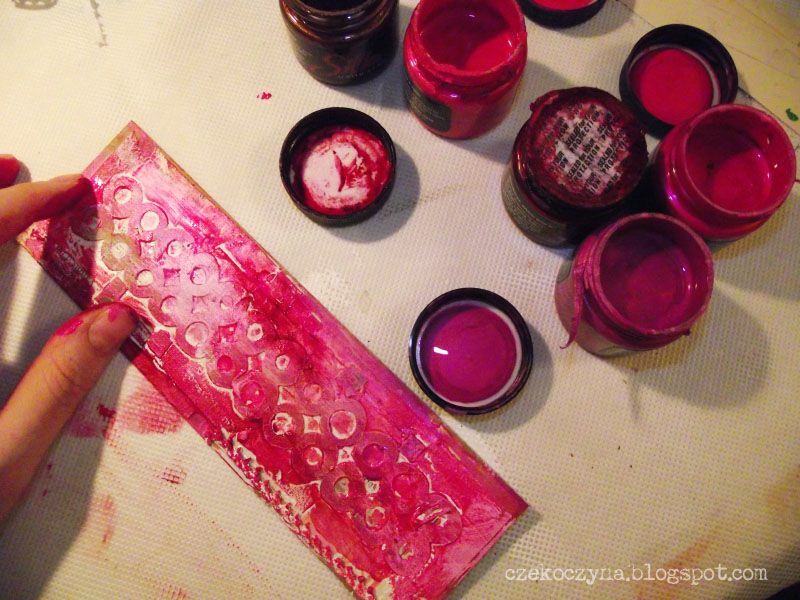 Today we have a special guest post from a design team member over at Mixed Media Place. Today Kasia Krzymińska is here to share a fantastic tutorial and a little challenge with you all. Hello! 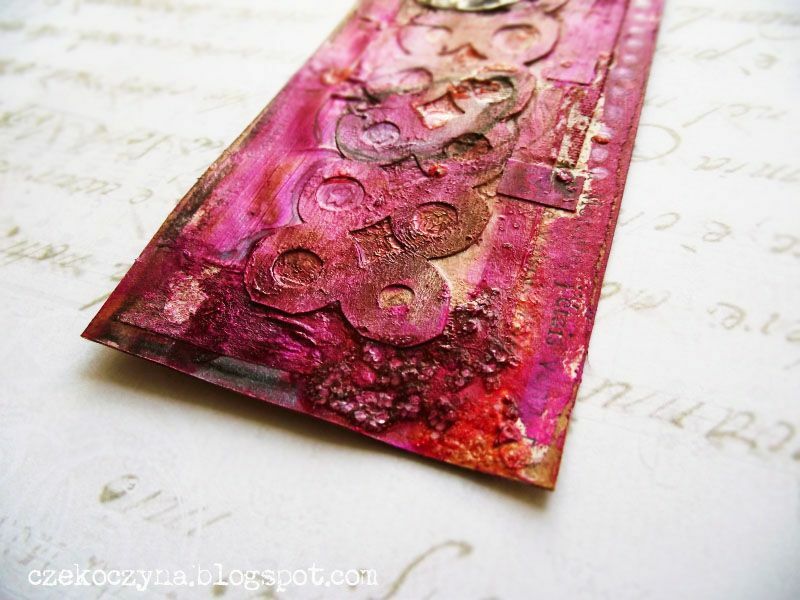 Kasia Krzymińska here to share wih you a very easy mixed-media technique. I will show you how to prepare a handmade bookmark that can be a nice Holiday gift for someone who likes reading books. 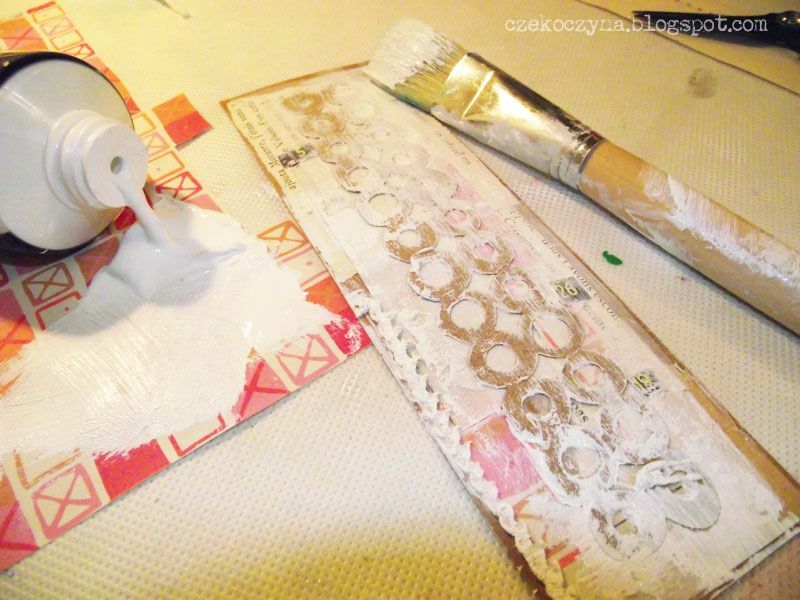 The first step is to cut out the base from craft paper and prepare your favorite supplies. 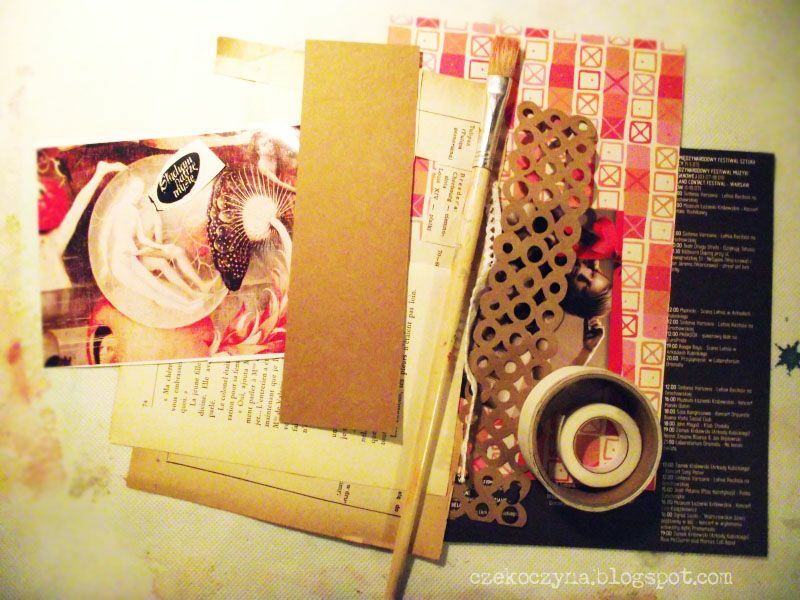 Please, try to be as creative as you can and use things like postcards, flyers and pages from magazines. I created a very simple background using pieces of papers and lace. Then I covered everything with a thin layer of white acrylic paint. The next step (and my favorite to be honest) is adding some colours to our work! 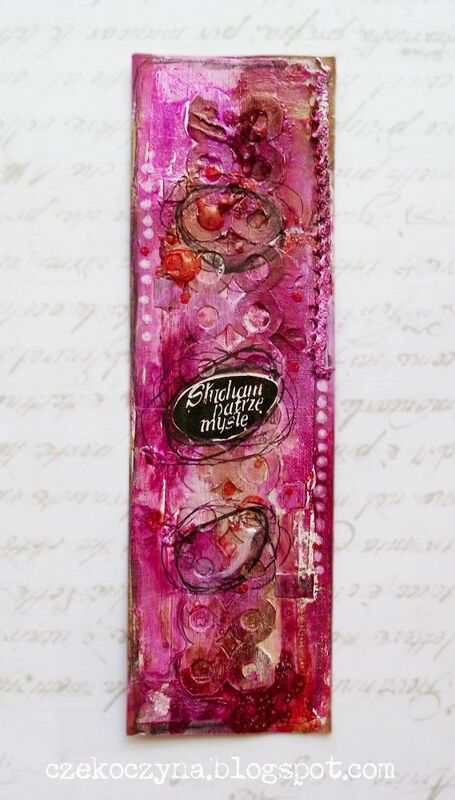 I used Silks that you can find in Mixed Media Place store in a wide colour palette. I painted with my fingers as you can see on the picture below. And I can tell you one thing – this is the best way to work with Silks I know, you need to try this 🙂 I just mixed few pink colours on directly my work. Then I added some doodling, text from a magazine and splashes of Glimmer Glam. 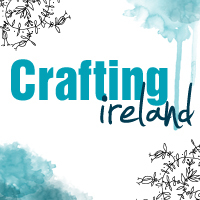 There is a fantastic prize of some papers and stamps up for grabs. Entries can be added by being linked in the comments on this post by the 23rd of December! You can link from a blog, Facebook page, photo gallery etc. What a nice challenge! Kasia, I like your work!